Known for silhouettes that look flattering and flawless from every angle, Elena Perseil's dresses are regularly worn by some of the world's most photographed women. 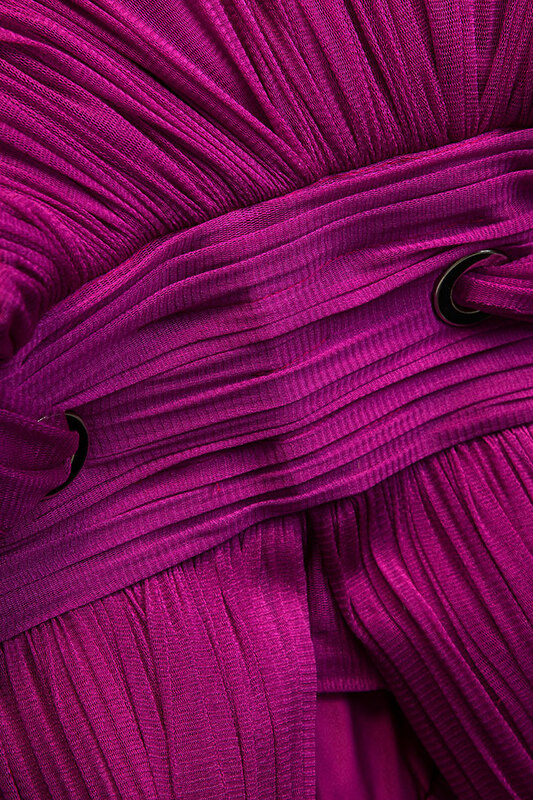 Underpinned with silk-satin, this mauve dress is ruched with diaphanous silk-chiffon that flows down the sweeping skirt. Its bodice is paneled with silk lining, revealing a hint of skin at the smallest part of the waist, while the bust is sculpted with molded cups.